The Victoria Police Medical Advisory Unit provides expert occupational health services and advice to support the operational and recruitment activities of Victoria Police. The area is a multi-disciplinary team currently consisting of Doctors, Nurses, Administrative staff and Victoria Police members. The vacant position is a full time, fixed term up until 30 June 2022 position, available for an experienced Psychologist with strong Organisational skills and the ability to work in a fast paced environment. 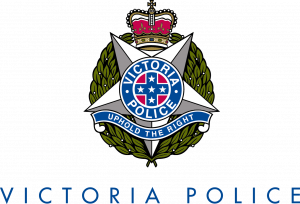 Management of the Psychometric testing and interview process on behalf of Victoria Police. Internal Psychometric testing and interviewing of internal employees. Quality control of the process including overseeing the evaluation of Psychometric tests and interview reports. Reporting to management on the results of the process. Highly developed skills in the interpretation and oversight of Psychometric assessments. Experience working in a large Organisation and managing competing demands. Full registration as a Psychologist with Australian Health Practitioner Regulation Agency (AHPRA) and provide registration number. Membership or eligibility for membership of the Australian Psychological Society (APS). Postgraduate qualifications and/or experience in selection and assessment. One (1) full time, fixed term (until 30/06/2022) position available. VPSG5 salary range $96,942 – $117,293 p.a + super + leave loading. Please quote in application: Psychologist- Medical Advisory Unit (VPSG-5) (20037664) via Pro Bono Australia.